National Open University has Begin 2014/2015 Admission Form Sale! This is to inform all the prospective candidate of National Open University of Nigeria that the 2014/2015 Application Form has begin their sales. So by this notice, we would love to let you know that the payment process has been placed, which would be available to you later. If you encounter some certain problems that you can not be able to clarify within yourself and the admission process, you are advised to please visit the NOUN Study Center nearest to you for detailed information and explanations on the procedure for application for admission. *. Without being told, the first steps required to take is pay in your money, so that the form would be billed to you without so much hesitation. Above are the banks participating with NOUN admission payments. *. When Paying for NOUN application form. You need to specify that payment is for application form. *. 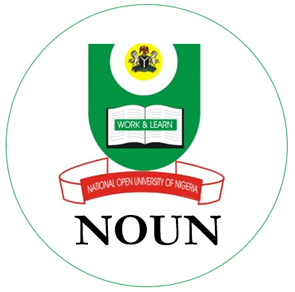 Now you are required to obtain a NOUN Teller and the Transaction reciept, specially designed for NOUN for the purpose of admission. *. After a successful Transaction, the reciept has two numbers: Transaction Reference Numbers and Pin Numbers. *. This is what you will do with the numbers, go to a cyber cafe or anywhere you can have an internet access. *. Then click on www.noun.edu.ng to go straight to the application form. *. Now use your Reference Number and Pin Numbers (as contained in the Transaction reference Documents obtained at the bank), to access your NOUN online application form. *. Please complete the application form by providing the required information. *. Ensure that you have fully completed all the required information. If you are sure then continue/correct before you submit. *. After you are true, you may submit your Form by clicking the submit button. The price required as the admission fee by NOUN is not that expensively. Please note that some of NOUN staff might want to get the jerk out of some student as bribe. So, under the authority of NOUN, I want to inform you that N5,000 (Five thousand, five hundred naira only) is required as admission fee for under graduate programmes and N10,000 (Ten thousand naira only) for Post graduate Programmes respectively. Please Note that, On no account should any applicant pay more than this sum to procure a copy of the application form. Applicants are advised to insist on paying the stipulated cost only and obtain official receipt at the point of payment.